This guidance assumes a working knowledge of Medical Director. For installation purposes, you will need to be connected to the Internet in order to download the template from the TGA website. The ADR Reporting template can be accessed on the TGA website. 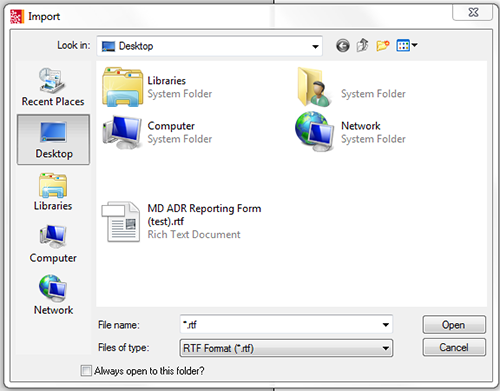 Download the MD ADR Reporting Form.rtf from the TGA website and SAVE to the desktop. Open the Letter Writer (F8). 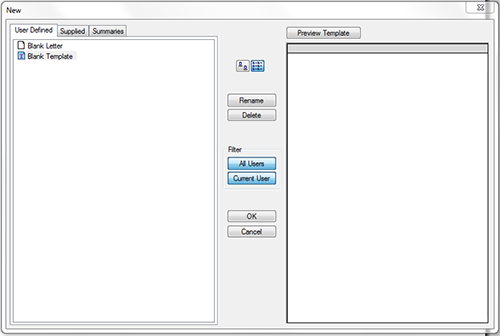 Select File; New (figure 1), then select 'Blank Template' (figure 2). 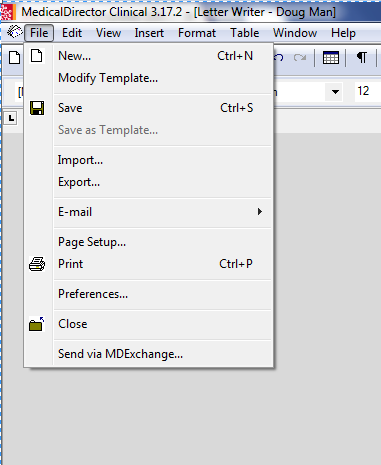 Select 'File'; 'Import'; Select 'MD ADR Reporting Form.rtf' from desktop as shown in figure 3. 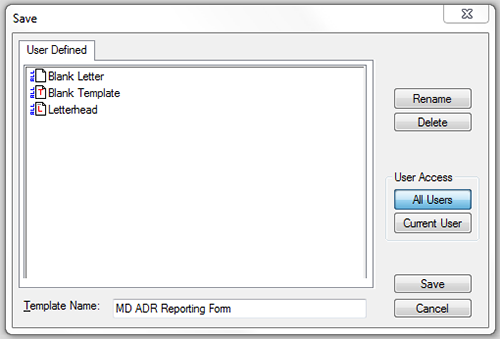 Select File; 'Save as template…' and name the template 'MD ADR Reporting Form' and select 'Save' as shown in figure 4. The template is now ready to use. Guidance is available for using the ADR Reporting template in Medical Director on the TGA website.